Zeus is a total mushy, lovebug. 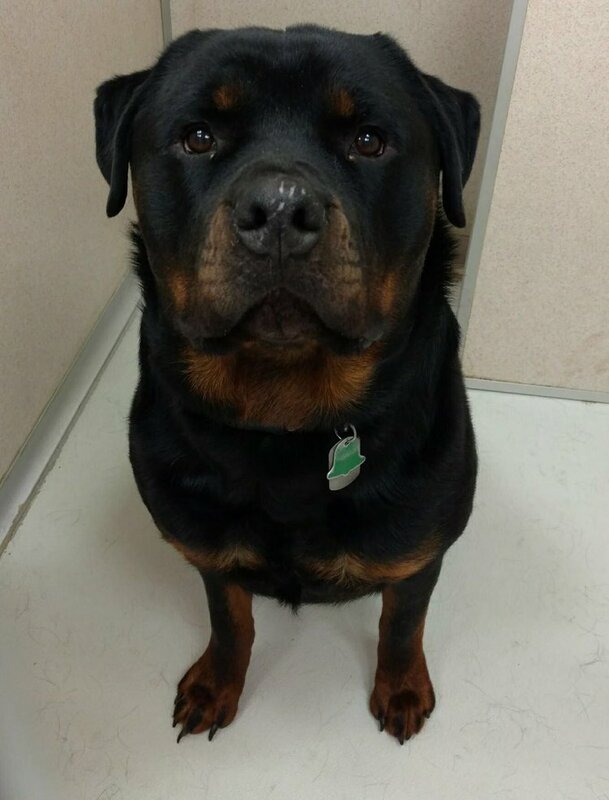 If you want a gorgeous Rottie with a big, beautiful head and even better temperament, he’s the boy. Has been living with three young girls and another large breed dog. He is friendly with everyone and isn’t reactive with small pets or unusual situations. He knows basic obedience and is house-broken. He is neutered, current on preventative care, including vaccines, and is about 3 years old. Now the bad news: this sweet boy suffers from epilepsy. He has seizures. They are reduced with medications, but still happen occasionally. He gets scared before and does sometimes urinate during a seizure. These are hard things to see. We need a new family for him that can help him through those tough moments and enjoy him for the rest of his life. He needs medicine three times per day, so your schedule must allow this. Missed doses lead to seizures… He also visits the vet more often than most dogs. And, he has a tendency to eat things he shouldn’t. He has had two surgeries to remove obstructions already, so don’t leave things out for him to get into! He will only be placed in a home that is perfect for him. He is not at any risk of being put down or surrendered to a shelter. His family is in crisis, and we are just trying to ensure he gets what he needs, too.